Topic: What rpm are you getting clutch engagement? Re: What rpm are you getting clutch engagement? God, I only wish I could have a 4k launch on mine. Such is the life of a Spree engine. Do you mean the luggage rack and basket? Topic: 67cc big bore for nq50 ?? Re: 67cc big bore for nq50 ?? Plenty you need to know before even thinking of buying a kit, link is in my signature. Should run you around $20 or so. Plus shipping and taxes of course. Your local tire store should be able to get them for you as well. My recommendation is the Kenda K329. Comes in both 10x2.50 and 10x2.75. It's what I use on both of my Spree's. That white one is an 84' (at least that's what the side graphics indicate). And are you looking to sell that top box? Does it have the keys? I've been looking for an original luggage box and original windshield for my 86'. Message me your address and I'll send you all the little parts. Needle is included with the parts. Topic: I can't believe that thing even ran!!! Re: I can't believe that thing even ran!!! This is just getting to be down right hilarious now. 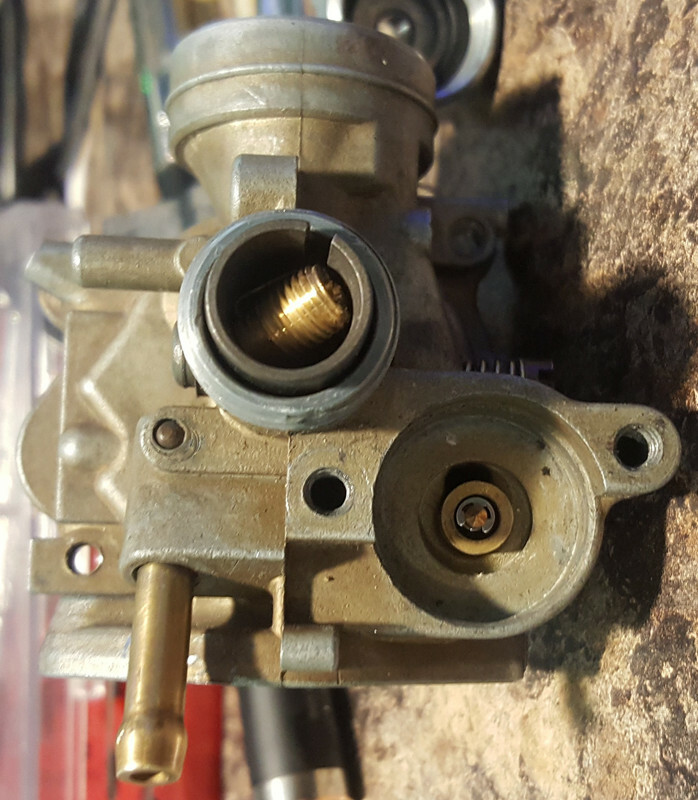 After getting over the shock of the insides of the carb, flipped it over and undid the bystarter and throttle..hmm... yup, bystarter probs and wow... found the main jet!! Bystarter/Auto choke is probably bad. Have you tested it? Probably rusted on the inside so it's sticking.